you are here: Home More About I sing because I cannot swim...for 40 years! 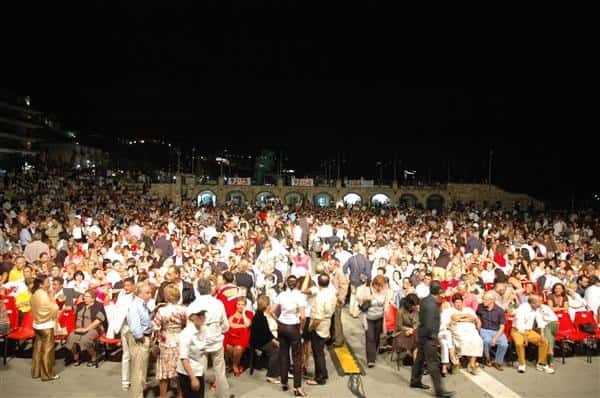 On Sunday, August 3rd 2008, the magic scenery of the touristic port in Maiori framed the moving concert of the world-famous Italian singer Massimo Ranieri. 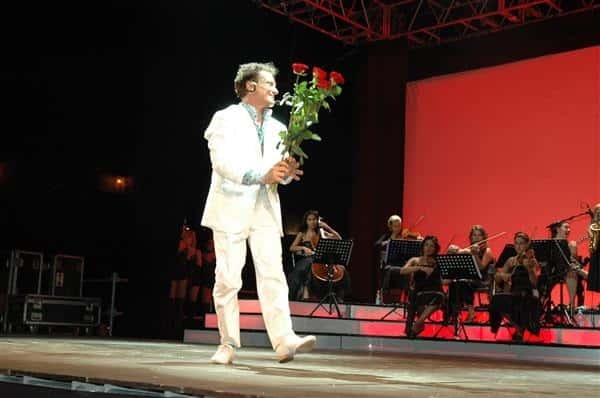 He enraptured the thousands of locals and tourists of the Amalfi coast for almost three hours with a Broadway-style show, rich in songs, drawn both from his masterpieces (such as ("Rose Rosse", "Erba di casa mia", "Se bruciasse la città", "Vent'anni", "A Rumba d'è scugnizzi") and from other Italian authors' repertoires (Battiato, Mia Martini and Battisti), dance and stories from his personal and professional life. 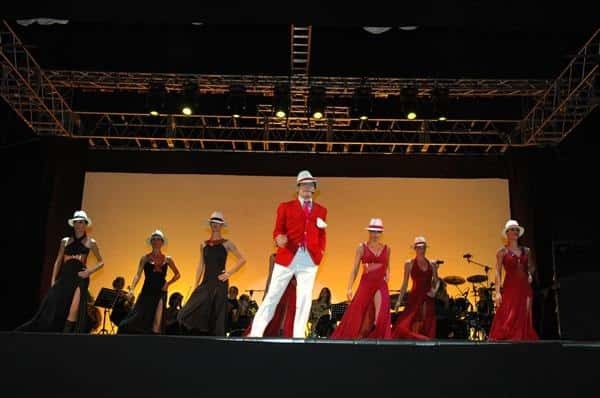 A fantastic show created to celebrate the 40 years of career of the Neapolitan singer and show man, who began to sing on a rock of the seafront of Naples, threatened by his friends to be thrown into the sea: in fact his excellent voice was very appreciated by the tourists who throw coins from the windows of the restaurants overlooking the sea. 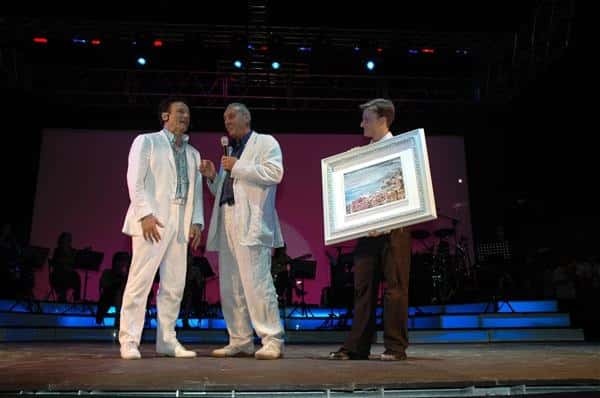 For this reason the show is entitled "I sing because I cannot swim...for 40 years". 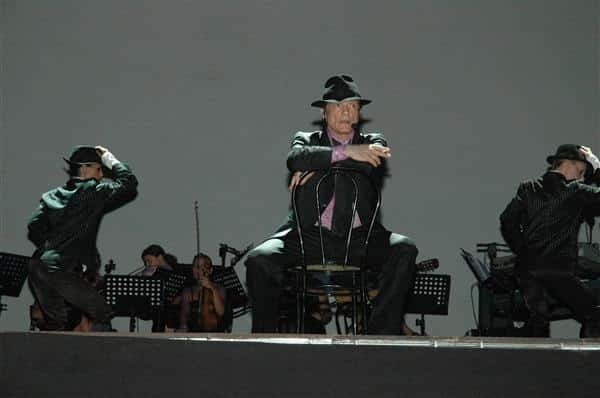 The passionate intensity of Massimo Ranieri's interpretations sent the audience into ecstasy, also thanks to the superb orchestra and corps be ballet, both composed only by women.